What makes a ‘nation’ and what makes peoples strive for nationhood? This unit will provide you with an introduction to studying political ideas by looking at how people who see themselves as nations challenge the existing order to assert their right to a state of their own. After studying this unit you should be able to: grasp the concepts of nation, nationalism and self-determination; have a better understanding of the role they play in current political disputes; think about the problem of how to take democratic decisions about secession; relate political theory to political practice more rigorously; take a more informed and active part in debates about national and international politics. Nationalism, Self-determination and Secession by Geoff Andrews, Open University, Michael Saward, Open University is licensed under a Creative Commons Attribution-NonCommercial-ShareAlike 4.0 International License, except where otherwise noted. The text is pulled out of a larger text the authors use in their teaching at the Open University. It manages to cover all the theoretical bases of a topical and current issue without being narrowly limited to headlines or events of the present-day. Rather, the text can be thought of as a strong theoretical introduction to the concepts of nationalism and secession. Reviewing this text in the month during (and after) a Scottish independence vote, it becomes clear that this text avoids political technicalities of the Scottish case and instead provides a useful lens through which to understand independence and secession movements. It is comprehensive and provides a useful philosophical guide while remaining engaging and approachable. By staying just outside the political, the authors approach secession movements with a kind of academic distance that usefully allows the content to be richly comprehensive and accurate. While many texts do take sides, this piece does not do that, instead opting to examine the mechanics of nationalism and independence movements. The result is an impressive introduction and supplement for students. 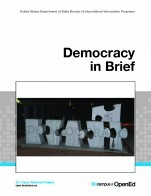 The authors have stepped outside of current events in a useful way--the text reads usefully precisely because they have chosen to examine the mechanics of separation without feeling the need to be weighed down by the individual case studies around the world. While references to particular separatist or independence movements are referenced, the 'chapters' are divided not by space or time but by particular theoretical and ideological facets of separation. Given these authorial choices, the text will be able to serve students for a long time. I began reviewing the text under the backdrop of Scottish independence and it reads as useful and important today long after the votes have been tabulated. The text does suffer a bit from Open U-ese, that sometimes theory-rich prose that is somewhat endemic to the Open University and its prolific scholars. In particular, the 'chapter' headings are a bit cumbersome and may be a bit to negotiate for BC students. The theory-heavy, technical approach to separatist movements demands a more obtuse writing style--some of the things discussed are highly conceptual. Thankfully the authors match the theory with engaging writing and storytelling so students needn't muck through dense verbiage for very long. While terminology and framework are consistent, it is important to note this is less of a full textbook and more of a subdivided book chapter. The authors call it a 'unit' and that's a fair descriptor. As such, we should take 'framework' with a grain of salt--its a fairly condensed read--but the terms used and the way concepts are explained remains consistent. While the authors attempted a division of the material, some of these segments feel unnatural or forced. As a 'unit' more than a 'text', it doesn't break apart as easily as larger, more expansive texts. The headings used by the authors to divide 'chapters' or 'sections' are bit cumbersome--"The prioritisation of a particular group – the nation – as a key constituting and identifying framework for human beings and their practices" starts a one page discussion on nation-states and territory, for instance. So if that material was to be seen as modular, awkward subject headings make that modularity more difficult. There is a great sense of flow to the text--perhaps at the expense of modularity. Given the brevity of the text, it is neatly organized and presented in a logical order to build on past learning outcomes. The Pressbooks interface the authors use is one of my favourite. Very uncluttered, the emphasis is on the text with a easily accessible table of contents on every page. There are no grammatical errors that I could find. The text is not culturally insensitive or offensive. This is not your standard introductory textbook, but a provocative and intellectual engagement into the subjects covered. This text critically analyzes both the good and the bad concerning the key concepts discussed. Drawing strongly on a philosophical and theoretical framework, the authors provide an adeqaute lens for students to gain insight into nationalism, self-nationalism and/or succession. I appreciated how they critically approached concepts, like "community" that can be manipulated or poliically taken advantage of due to their ambitious nature. Furthermore, the text is useful in that it makes reference to many of the familiar theoretical arguments and scholars prominent to this discourse, allowing undergraduate students to get an introductory level of theory if they are not yet fully accustomed to it. For example, they discuss the objective vs. subjective definition of nation in their attempt to contextualize it within a criteria of "nationness." The text quotes from political theories, such as Hobsbawn, but uses a secondary citation rather than referring to the original text, which in this case seems as if it would be simple to do, conferring a weakness in resource gathering. 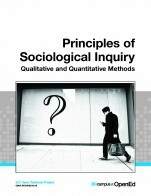 Nevertheless, the authors use a wide range of prominent theorists, across disciplines, creating a well-rounded and non-biases analysis that is overall, error-free. The text is up-to-date in that it addresses the subject in a longer timeframe, highlighting issues people and states faced throughout history. Contemporarily, the authors incorporate examples, such as the concept of "queer nation" that would not make the text obsolete within a short period of time. Furthermore, the text was written in a straightforward manner. There is a bit of theoretical jargon that is thrown into the text without a proper explanation. For example, they note various school so thought, such as "contract theorists" and "utilitarians," as well as the names of theorists, without accompanying descriptions. Furthermore, acronyms are casually mentioned, such as "FLN" without reference to a full name. Therefore, this text may be more appropriate for students who can easily ask questions regarding this terminology, or who are already accustomed to it. I felt as if the text sometimes jumped around a bit, and could have been more consistent in structuring a framework that provided a bit more clarity. For example, the rise of the modern nation-state is the historical foundation for this text, as they so mention, yet, it is placed within the community section, rather than receiving a deserving section of its own at the beginning of the text. This would perhaps not be an issue I was drawn to, if not for the very small and rather undeserving sections near the end of only a paragraph or two. I felt as if the text was over-sectioned at times. Some of the sections were only a paragraph and could have been included in the former sections. Nonetheless, their modules created a "clean" look to the text, allowing for an easy read. The topics were presented in a logical and clear fashion. The links did not work, and I received an error when redirected to the website from the PDF. Moreover, some of the pictures were disturbingly blurry. However, if they did/do work, then I enjoy the idea of a hyperlink interaction with the reader. Other than some awkward sentence structure, more so near the beginning of the text, there were not many grammatical errors I noticed. There was a contraction placed mid-text (don't), which I thought was inconsistent as they were not used anywhere else, and some repetition of phrases, such as "political theorists," which was used multiple times in one paragraph. Also, maybe another proofread would be helpful, as there seemed to be some unnecessary commas, and random code placed within the text. The text is not culturally insensitive; however, there was some overuse of examples, such as Israel/Palestine. Although I understand they are the typical examples, I would have enjoyed to see less redundancy, and more challenging/controversial notions of empirical examples. Focusing prominently on nationalism, Quebec serves as a solid example, and thus, was incorporated in differing contexts throughout the text, making it appropriate for a Canadian context. The text covers a variety of topics related to nationalism, self-determination, and secession. The text clearly delineates its content to include primarily philosophical and theoretical content as opposed to historical examples. Within these boundaries the text successfully introduces some of the basic principles and thought around these areas. The subsections on Succession (Section 16 & 17 pdf version/ 6.5 and 6.6 in the online version) could be expanded to be more comprehensive. There is no index or glossary accompanying the text. Some background knowledge of the applied examples of the text is assumed which could hinder the reader’s understanding of the text if they had no awareness of these historical events. The authors have dropped some of the nuances of their arguments in a trade for readability as an introductory text. This leaves the content mostly accurate but the lack of details and particularly of historical exceptions, does weigh against the content accuracy. 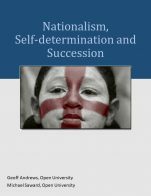 As the authors have limited their text to primarily the philosophical and theoretical issues related to Nationalism, Self-determination, and Secession, the content is up-to-date. 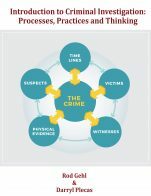 The applied examples and historical examples the authors used are recent enough and received enough international attention that many readers will have some background knowledge of the events and therefore the content is relevant and up-to-date and is likely to continue to be so for a reasonable amount of time. The clarity of the writing is excellent. The text is easy to read, clear, free of jargon or unreferenced terms. The text, however, is almost colloquial in tone in some places, which could detract from its academic tone. The text is clear in its terminology and the context for this terminology. The text is internally consistent in its use of these terms and in its structure. The text is divided into many small sections. While most of these sections are adequate in size and substance to be of use to a reader and to the formation of a unit, some sections are too short to stand on their own or be of much use. These smaller sections give the chapter a “choppy” appearance and read, and would not be of much use separately if one was trying to form a unit (again section 6.5 and 6.6 in the online version could be cited as an example). The authors are very clear about what readers should be able to learn from the text. The learning objectives and chapter summary notes are concise, clear, and helpful. – The text contains no grammatical errors. 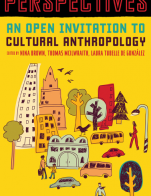 The text is not culturally insensitive and is inclusive in its selection of applicable examples. Again, a more nuanced text might be helpful in furthering the cultural relevance and accuracy of the text. The text is particularly relevant in the Canadian context as the authors make frequent reference to Quebec.